A Guide To Tribal Employment is a practical analysis of the law, policies, and practices used by tribal government and tribal enterprise employers. This book focuses on the application of tribal, state, and federal employment laws. Moreover, it applies tribal self-determination, sovereignty, and immunity to the employment process. 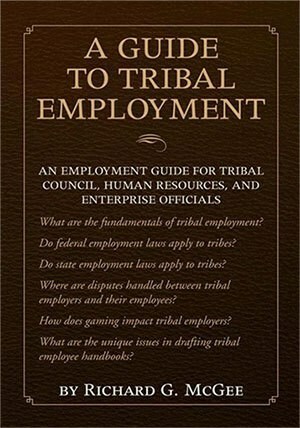 The book addresses employment disputes, unique employment issues in tribal gaming, and the unique policies used by tribal employers. The book’s question/answer format will help tribal administrators, human resources personnel, and tribal leadership better understand the interesting and important questions relating to tribal government.